Always feel like you're with a trusted friend with this Huawei Agassi-W09 MediaPad T3 Tablet. It lets you see the world in vibrant color through its vivid 9.6" IPS Touchscreen display with a resolution of 1920x1200. Powered by the Qualcomm MSM8917 Quad-Core processor with a speed of 1.4GHz clubbed with a 2GB RAM that easily manages various computing and multimedia tasks simultaneously. Plus an inclution of 16GB Flash Storage to provide you enough space to save important data, applications and favorite multimedia contents. Its 2MP front and 5MP rear cameras let you capture xceptional photographs and share memorable moments with your loved ones. Featuring a special low-light and eye protection mode which makes sure that you keep the full view of your life, reducing eye strain and helping preserve your natural sleep pattern. Additionally, it comes with an Android 7.0 (Nougat) operating system to make your life easier. So, what are you waiting for? 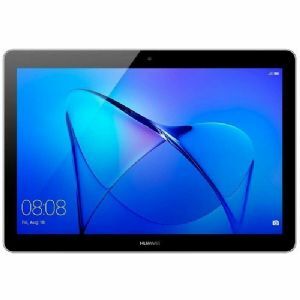 Try the Huawei Agassi-W09 MediaPad T3 Tablet now! HUAWEI logos are registered trademarks of HUAWEI. All others trademarks and copyrights mentioned herein are the property of their respective owners.